The seeds of inspiration for this post took root back at the end of January 2013 when the United States Postal System decided that they were going to massively up their rates. Quite literally overnight, I saw the shipping rates listed on some of my favourite sites like etsy and eBay double. I was floored, as I'm sure many others outside of America were as well. Those within the US were also hit with a noticeable hike in national shipping rates, but they weren't quite as severe as the huge increase that those outside of the US were left to deal with. I thought about writing a post about this topic right in the moment, but decided instead that I'd let a few months pass - during which time I'd experience life with these new (super high!) USPS postal rates before I set my thoughts on this subject down on virtual paper. Now, a little over a full year on, my feelings about the situation haven't changed one iota, so it seems like high time I spoke some of them aloud. To begin with, I should point out that I fully understand that postal systems have to raise their rates for various reasons (inflation, declining numbers of users, increase in production costs, etc). Canada Post - the postal system of my own lovely nation - has been raising there every year like clockwork for the past few years (with 2014's hikes being the most substantial ever), and I suspect they're continue to do annually (or very nearly annually) for the rest of time. No one likes to have to suddenly pay more for a basic everyday type of service, but I can roll with relatively minor rate hikes as well as the next person. By the same token, I'm well aware of the fact that the USPS is drastically losing money these days. How much money, you may ask? A staggering 25 million dollars a day, according to this article from NBC News. In their last fiscal year the United States postal system lost a truly mind-blowing sixteen billion dollars. Not million, billion. I'm sympathetic to their situation, I truly am, and (again) I'm fine with slight increased in prices, but I think its flat out highway robbery to suddenly charge two to three hundred percent more to send some types of parcels outside of the US. Like many of us, I have a very set budget to work within when it comes to my spending. Prior to this year, I already felt like shipping charges ate up a rather chunky percentage of that budget (I'd say anywhere from 10% to 25% off my total online shopping budget in an average month went towards shipping, as I buy the fast majority of my purchases from the US), but could usually try and keep things to at least a certain level that I was comfortable with by seeking out sellers who offered First Class shipping to Canada (which was generally quite affordable). First Class shipping is still available, however the rates have gone through the roof. A small vintage hat, for example, that might have cost me $5 to $8 (at most) to ship to Canada up until January 2013, is now generally running in the range of $10 to $18 to ship (this is the true shipping costs, I'm not factoring any additional handling and/or packaging charges that a seller might tag onto the overall shipping price of an item). Small items, which have always been favourites of mine, like vintage brooches and bangles, that once cost $2 to $5 to send, again are costing double or more, with about $6 to $11 being the norm now. If I'm buying an investment piece - for example a vintage brooch that costs $40 or $50, I don't mind paying steep shipping fees quite as much (for example, $8 to send a single wee little brooch via First Class mail to Canada), but there's no way on earth I'm going to pay that for an inexpensive brooch that only ran me somewhere in the range of $5 to $15 to begin with, which is the price range I generally shop within for my brooches. For every category of item - vintage, craft related, or otherwise that I purchase, this same principle rings true. Just buy locally or at least nationally if you don't like what USPS is charging, I hear you say, and that's certainly a very valid point, however doing so is a whole lot easier said that done. For example, there are exceedingly few vintage shops anywhere even remotely close to where I live and those that do exist tend to focus on housewares (which I love, don’t get me wrong, but you can't exactly wear a vintage serving platter, now can you! ), and as traveling even relatively short distances is very difficult for me due to my health, making vintage shopping trips to cities like Vancouver (which is about five hours away from us) is not something that is going to happen on any kind of even remotely frequent basis. There are some Canadian vintage sellers on eBay, etsy and others who have their own independent sites, but there’s not too many (let alone ones with pre-1960s offerings), let me tell you. As well, one needs to keep in mind the fact that Canada Post's national shipping rates are crazy high as well (they have been for years). Oftentimes as well Canadian sellers charge more their goods than their US counterparts, which doesn't help matter much. I love supporting my fellow Canucks and do buy from Canadian sellers sometimes, but for the sake of my budget, up until this past January, I bought most of my vintage items from the States (and to a much, much smaller extent from other international locations such as the UK). Since these USPS rate increase went into place (I should note that while the rates on certain shipping methods, such as Flat Rate and Priority Mail to Canada certainly increased, they didn't quite double; nevertheless however, they all increased by at least several dollars, and were not all that cheap to begin with), I have really had to revamp the way I shop online (as I'd venture to say I'm sure many others have in recent weeks as well). For example, buying small inexpensive items from the States has just about become a thing of the past. I now try to bundle multiple items from the same seller, if possible, so that I feel like I'm getting more bang for my shipping money buck (this was something I'd already been doing, but I've stepped it up big time these days), and I'm buying more investment pieces (which if we’re looking for a silver lining, is a good thing in its own right, especially since doing so is something I was aiming for last year, as discussed in this post, and beyond). More than what I am buying however, it's what I'm not purchasing that I'm perhaps feeling the most. Gone, for the most part, are small items, inexpensive garments (it seems nuts to me to pay $15 in shipping, for example, on a cardigan that cost me the same amount, unless that sweater was such an incredible bargain that even factoring in the shipping price, it would still be a steal of a deal for a combined price of $30), and many bulky items (for example hats and purses). I'm not saying that I'll never buy these items online again, just that I've very much had to slash the number of such pieces I've purchased lately. I'm incredibly grateful that I filled a lot of the gaps in my vintage wardrobe in 2012, because this drastic increase in shipping prices would have made doing so this year (at least to the same extent) nothing more than a pipe dream. I know that my vintage wardrobe will be impacted in the long run by these sharp rate hikes because I'll have cut back on the number and, sometimes, types of garments and accessories I buy online. If there was lots of good, relatively affordable vintage shopping locally, this wouldn't be a big deal, but as there truly isn't, I'm really not sure just yet how much of a far reaching impact this whole situation will have on my wardrobe in the months and years to come. One thing I think it will mean is that I'll buy more reproduction from larger sites, who sometimes offer decent shipping rates due to the fact that they send out large volumes of parcels and/or use courier services. I've found myself window shopping in the UK a lot more over the past few months well. I love supporting independent vintage sellers online and it truly pains me that I won't be giving as much of my hard earned money to them any more solely because of USPS's postal rate increases. Unless shipping rates doubled again beyond their current prices, I will likely always continue to shop from the US, however the way I shop and the total number of purchases I make have changed and I don't foresee these things being able to revert (let's face, postal rates are incredibly unlikely to drop again). Far beyond the impact that these rate changes have had on my life and shopping habits, I suspect that many independent sellers and even some larger US based businesses alike are feeling the impact of fewer sales, especially from their international shoppers. The effects of USPS's decision not only effect me, they effect every last person who uses the United States postal system in any capacity, and in this day and age, that includes a huge percentage of small and on-the-side business owners. I've already noticed that fewer sellers on sites like eBay and etsy are offering shipping to Canada any more. They too are well aware of these rates increases and know that some of their potential customers cannot, or will not, pay what USPS is asking, so they've pulled out of the international shipping game all together (thus decreasing the overall pool of online sources those like myself outside of the US have to shop from). For Canadians who live close to the US border, getting an American address (from a service such as Cross Border Shopper) or having their online purchases shipped to a friend or relatives in the States and then going across the border to pick up their purchases in person, may be an option for some, but for most (and certainly for those outside of North America), this is not feasible in the slightest. When all is said and done, it boils down to this: USPS jacked up their rates and just about no one but them stands to gain anything from this action. International shoppers like me will be left with the hard decision of whether to forgo or decrease their US shopping or pay sky-high shipping rates, and many online sellers will likely see their revenue effected due to a decrease in sales. The sad reality is that no one wins here at all, and that's a fact worth writing home about. Assuming, of course, one can still afford the price of a postage stamp. we have the same effects here with our "post". more and more expensive and they cut down the offices. we have some independent post service companies, cheaper and friendlier at service, but the big one found ways to keep them small with the help of politicians..... it´s a shame. maybe the internet community can find a solution for the shipping problem. you did the very brave first step to write about! It's so sad about these extremely high shipping costs. I don't buy anymore as I used to because is unbearable (and I didn't buy that much because of my small budget). Many of the times shipping price is higher than the item itself. I wish it wasn't that. Unfortunately I don't get to shop vintage in my own country because although there are some shops in the main big cities, they never sell items prior 60s or 70s. So these high rates really affect me. As you say dear Jessica, affects all of us. I hope solutions arises soon! Well-stated! The small town American PO has long been a center for folks to gather, visit, discuss the weather and what's going on. Unfortunately, these are being shut down at rapid rate. The larger POs continue to exist, but are typically understaffed and in my experience, dreadfully inefficient and unreliable. 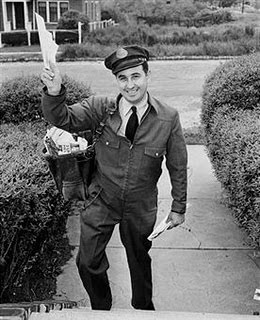 As a kid, we used to have mail delivered twice a day, and I could walk to the corner, meet the mailman and he would give me the mail right then and there and most homes had mail slots in the front door. Today, many new neighborhoods have cluster boxes at the end of the block. The mail is delivered at a different time each day--aaaargh! The majority of mail received now seems to be 1-piece ads, grocery flyers, all junk mail. In short, the PO is failing because we don't need snail mail anymore. For this, I am sad for a first class letter is a prize! Sorry for rambling, but I can really relate. The increases are absurd. Excellent points across the board, dear Ann. It's true, with each passing year, there seems to be fewer and fewer post offices here as well, and I've heard (secondhand) that scores more are slated to close across Canada in the next couple of years. It's a fairly safe bet to say that at some point, postal systems may become obsolete, replaced by courier services only, as bills, banking, magazines, and letters become ever more digitized with each passing day, but for now, I think many postal systems need to rethink their strategy. Making choices that will only deter most people from using them less often (or at all) isn't going to help their struggling bottom line one iota. On top of Ann's comment, the cluster boxes also get vandalized. My parent's have had their mail stolen on several occasions. I'm also an avid online shopper. We have much less vintage in our own country compared to the US. I also try to combine more purchases from the same seller, but sometimes there's nothing else I want and then I have to let it go. When it comes to vintage sewing patterns I try to bid on lots of 20+ patterns. Shipping costs are more bearable that way. I also want to buy vintage shoes. But I haven't found a seller yet where I can buy more shoes. They don't have them in my size or I just don't like them. And then you have the occasional import taxes, which can be quite pricey as well. Thank you very much for your great comment, dear Anthea. That is an approach I take sometimes as well (buying multiple items from the same seller to get the most bang for your shipping buck), but as you said, there are times where you don't want to (or may not have it in your budge to) purchase one than the one item you set out to buy in the first place. As shipping rates continue to skyrocket though, this may become the only viable approach for some folks (at least most of the time) though for sure. I noticed that shipping to Canada was already expensive, and seemed more than shipping to other countries. I never understood it isn't crossing any body of water to get there. If the postal service keeps this up, other agencies like Fedex and UPS are going to get more and more business. I have found that UPS was cheaper by $10 or so to ship to Canada on a heavier item than to ship by the postal service. Though, I have also been told that service to Canada by the UPS isn't the greatest either. Yes, yes, and yes! I too have noticed that (it's sometimes cheaper, shipping wise, for me to order the same item from the UK or Australia than the US - what gives there?!) and really think all involved deserve an explanation as to why it is. Sure, the US and Canada are both big land masses and there's fuel and time costs involved, but still, I shouldn't be able to get the item sent for less from Australia, truly on the other side of the world, than I can from a seller in Washington state (which touches B.C. 's border). In my experience, courier service is typically even more costly than USPS, but if the postal systems keeping upping their rates, the two may soon be on par or couriers will slide into the lead as the lower priced of the two ("lower" being a relative word ;)). I agree with this post entirely, being from the UK I used to frequently purchase items from sellers in the US on eBay and Etsy but it's just reached a point where the shipping costs more than the item a lot of the time, and it's not worth me buying expensive items due to the UK's sky high custom rates so I find myself just going without. It's such a shame, and as you say, no one wins from the situation. I understand that the USPS need to raise their prices but it's ridiculous how expensive shipping international has gotten. Last weekend I shipped one over the knee socks to a girl in Quebec and the shipping cost was almost $8! The package didn't even weigh 3 ounces. I was so shocked but had to ship it regardless. It really makes it hard to sell internationally. I just typed out a long comment and my browser crashed and lost it! Grr. Anyway, the gist of it was: I've been having problems with this too. Because the type of vintage I like is cheaper in America than it is here, I used to be able to buy it from America and have it posted over, but the higher postage charges combined with higher customs and post office charges in this country mean that I can't afford to do that any more. However, I can't afford the UK prices for things either (£90+ for a dress? My student budget won't stretch to that) so I am having to think very creatively in order to build the kind of wardrobe I want. Hi sweet gal, oh no, I'm sorry that your browser crashed and you lost your comment. I have that happen sometimes too (or the cat walks on my keyboard and makes what I've just written vanish into thin air) and it really is irksome! You'd think that in this day and age, there would be more of a "memory" in place in comment box systems, so that if that did happen, you wouldn't loss what you'd written. I hear you loud and cloud!!! On the budget front (and actually have a post in the works for a little later in the year all about tips to build a vintage wardrobe on a tight budget), and find that some things that help me there a lot are buying modern vintage appropriate pieces (especially from thrift stores) to pad out my genuine vintage, 80s does 40s/50s, and repro items, and using any funds I receive as a present for Christmas or my birthday to put towards the pricier items (such as my black Bettie Page jumper dress that I bought at long last in early 2013 with gift money from my parents). There isn't a super easy solution there though, as there aren't exactly malls full of well priced vintage, repro and vintage appropriate pieces for those who opt to dress this way everyday (or very nearly so) out there for us to just pop down to and shop at. The postage in the U.K was hiked last year too but nowhere near as high as the U.S. I was horrified when a friend mailed me a couple of lightweight items and it came to $40!?! I've certainly stopped buying from the U.S it's such a shame. This does make me very sad to read and ponder—When the US economy could *really* use every penny poured into it, USPS causes additional harm by doing something so understandably off-putting to international shoppers. (Doesn't seem like a good idea for general international goodwill, either!) Thus far I've not raised my own rates, but will confess to having eyeballed it because eating that increase on my end is not easy—but then I look at the international shipping rates I already have and wince. Things like this put the seller AND the buyer between a rock and a hard place—honestly, in some cases UPS and FedEx are more competitive than USPS, and IMO, the latter is more trustworthy with packages anyhow. I daresay even USPS will not gain a thing from this and will in fact hurt themselves, for just the reasons you've noted. If anything, it will end up being a wash. That said, there is a business-in-waiting here for someone with the capital—a way to get products originating in the US to Canada and Mexico in a more cost-efficient manner! Online vintage is almost close to nothing in Europe, some good repros brand in the UK but I prefer vintage! That's why my husband and I go to the USA at least once a year: SHOPPING! Thank you very much for your comment, dear Laurence. I fully believe that the route that you and your stylish husband are taking is one that more and more non-US vintage lovers are going to be adopting as time goes on. I know that for me, I certainly did a good chunk of all my vintage shopping last year when we were in Calgary, as it was just so much more affordable to buy in person (so long as the prices in person were reasonable). We hope to take another trip this year or next (or both) either to another big Canadian city or to one of the closer US states (not sure when or where exactly yet), and when we do, you can bet that I'll be doing plenty of vintage shopping. I've been hit hard by the Global Shipping System on eBay, too, to the point where I can now go weeks or longer without buying anything on eBay because none of the items I'm interested in are being shipped by a more economical method. I'm certain, whether many realize it yet or not, that these rates are hurting sellers, too. It's a shame eBay introduced that system - they too will lose money in the long run because of it. To this excellent post, I would add: Canadian sellers do the same to American buyers. When I'm running searches on Etsy, there are always a few "perfect" pieces that come up in my search, and invariably, they are from Canadian-based sellers who never charge less than $12.00 to ship anything to the U.S. Sometimes it is equal to or more than the amount of the item I'd like to purchase!! I basically avoid anything from Canadian sellers as a result, even though the stock is stellar. I've had better luck from UK sellers for international shipping, frankly, which just astounds me as it has to cross an ocean to reach me and account for the exchange rate, which is def. not in my favor. Ah, well. So it goes. Thank you very for your comment, dear Juliana. Absolutely! It's not a one way street by any stretch of the imagination. Historically, in the past few years in particular, Canada Post has had some of the highest shipping rates around. In the winter of 2011/2012, I was doing a lot of selling on eBay, and literally would apologize to people when I replied to their comments for combined shipping quotes, because I just felt so bad telling someone how high the shipping prices would be (and I was charging exact shipping to within no more than one dollar - I'd refund any overage beyond that instantly). I know! It's nuts! I can sometimes order the same item and have it shipped for less from the UK or Australia (Australia - all the way on the other side of the world, for goodness sake!) as well. Sounds like some of us Canadians and Americans should get together at the border and hold a vintage sale or swap to help counterbalance the crazy high rates our respective postal systems are imposing on us! Thank you very much for letting me - and all of us here - know that fact. Your offerings are really on target, as you know, for my audience here. If you'd ever like to become a blog sponsor or collaborate in another way, such a product spotlight outfit post, please don't hesitate to get in touch by email. Honestly, I could cut and copy this blog post word for word, and just substitute Canada for Australia. I am I the same boat as you, my overseas spending from boutique sellers has dropped dramatically, with a huge increase in my reproduction spending instead. It doesn't seem feasible to spend $40 on shipping one dress when I can order whatever quantity I like from a repo company for $30. I am glad that I really do not *need* anything vintage related, everything I have purchased in the last couple of years has come from *want*, so I have resigned myself to (and quite happily too), wearing what is in my wardrobe more than once or twice before selling it on. And as for the US address forward on mailing services, I have checked out a few sites but the average per shipment to Australia averages around $80! Definitely not an option. Thank you very much, honey. By all means, if you'd like to repost this post on your site, please feel free to do so (just credit it to me and link to Chronically Vintage if you do). I hear you loud and clear when it comes to the even greater appeal that reproduction takes on when some of the leading companies in that field offer flat rate shipping. I've been buying more repro since the rate hikes myself and highly suspect I'll continue to as the years roll on. I love genuine vintage, repro, and vintage appropriate fashions, so this doesn't both me at all, but it would still be nice to have some genuine vintage sources that also offered flat rate shipping. Hi Joanna, great minds! I too have done that before, especially with friends who live in Australia and other countries outside of North America (it's mind blowingly scary how much Canada Post charges to send parcels that weigh more than just two tiny pounds outside of Canada or the States. I sent a package to a friend in Australia two or three Christmas ago that weighed a few pounds and was charged almost $200 - and it wasn't express or anything fancy, just regular air mail). I'm really glad, too! Granted, my wardrobe isn't massively bigger and there are always countless items I'd like to add to it, but objectively, I do have most of my bases covered, what I own is in good shape (aka, I don't need to replace many things at the moment), and I'm not going to run out of fun/creative/new outfits to make with what I have already anytime soon. These hikes haven't ceased my online buying entirely, just curtailed it heavily, so there will still be some online purchases coming in now and then, as well as items bought in person (such as the ones on our Calgary trip last September). Agreed! USPS (and Canada Post!) really need to rethink what they're doing. IMO, they're just speeding up their ultimate demise all the more quickly by introducing such drastic rate hikes. Ahh I so hear you on this. Postage costs are crazy expensive - it makes it really hard, especially when you don't have a massive spending budget to begin with. I believe Aussie and Canadian costs are similar (i.e. hefty) so it even makes it hard in reverse - to send to the USA (I was quoted $29 to post a pair of pants to the States, and nearly died). Have you tried buying from Australia? Our rates are now cheaper internationally than USPS in a lot of cases, depending on where you are. I agree that the huge USPS price hikes have had an effect on my buying habits; sometimes it's just not worth the cost, sadly. Lynda (allthepreciousthings on Etsy), Sydney Australia. Hi Lynda, it's really interesting that you raise that point, as I have been buying more and more from Australia (and not just clothing and accessories, craft supplies, too) in the last year. I just ordered some elastic from Australia to replace that which broke on a 40s tilt hat of mine a few weeks ago and not only was it super cheap to ship, it got here in about a week. I was so impressed. I will definitely continue to turn to Australia more and more as my own country, the US, and UK continue to hike up their rates all the more. It's all very unfortunate. You're completely right - no one wins in this situation. So many people make their living making things at home or reselling items and mailing them out. The local stores more than ever seem like they all carry the same things, for example most of the clothing is generic, made in China, and mass-produced. And it is not just ladies' clothes. I have a five year-old daughter and most of the clothes in the stores for girls aren't the style I care for. It is nearly impossible to find pants that aren't "skinny jeans" and skirts that aren't super short. While I wouldn't say I want to dress her "vintage" I like styles that are a bit more old-fashioned inspired. These are impossible to find except online. Around here (Florida) the thrift shops are always packed and picked over, I guess as everyone feels the lingering troubles with the economy. I sort of wish second-hand shopping would go out of style a bit! Hi Chrissy, very good point, regardless of if one wears vintage or not, if you're not a fan of what your local shops are offering (and/or it's beyond your budget) the web is often your best alternative, but if shipping prices are too steep there, one may suddenly find themselves between a rock and a hard place. I'm sorry that there aren't more children's clothing offerings that you like where you live. In the nearby city of Kelowna (an hour away from us) there's a consignment store that just stocks children's clothing and items. Is there anything like that around where you live? It might be an option if the thrift stores are too picked over or don't have what you're after. Ugh! This is awful! I'm sorry you and so many others are being impacted so negatively by this. Acquiring anything from internet is quite hard for me. I live in one of those countries that the most of the world does not ship to.. OR: if they ship to this God-forsaken land, the shipping is triple the amount of the original product. Oh, the agony of being able to see it, and not being able to have it. "One thing I think it will mean is that I'll buy more reproduction from larger sites, who sometimes offer decent shipping rates due to the fact that they send out large volumes of parcels and/or use courier services." This has been me for the past few years. I don't think I've bought any vintage from overseas in ages. I just can't justify spending $30- $50 in shipping to get a single item of clothing. Don't even get me started on this subject! Shipping to London is so expensive these days. :( There are still a few sellers who somehow manage to keep shipping costs down, but on average, most sellers charge anywhere between $20-45 for shipping. I can understand this if something is very heavy, but I was recently looking at a tie bar for my husband, and the shipping was nearly $40 which seems very excessive (needless to say, I didn't buy it!). On top of the postage costs, we also have to pay customs charges, if the item is marked as being worth over $20. So you have to factor in an extra £14-40 customs charges on most items! It is truly out of hand! .....and breath *rant over*! I hear you loud and clear, dear gal - and need to do meditative deep breathing right alongside some days. We get hit with customs charges (and, sometimes, brokerage fees when couriers are involved) and have to pay tax on most international purchases $20, and parcels sent as gifts over $60, here in British Columbia, so that too can make a small, seemingly inexpensive item suddenly cost significantly more. It sounds like we're in much the same boat on opposite sides of the Atlantic, and I agree, it has gotten out of hand! Ouch! That's a hefty hike in prices!! I can see why you felt compelled to write a post about it, and there will be lots of online shoppers in the same boat as you. It's things like this that add to the general 'squeeze' that everyone's feeling right now, it all adds up. We've had lots of postage hikes too, and changes to the rules in terms of size and shape of packages which meant you could easily get caught on and charged a hell of a lot more simply by folding an item up in a different way. Thank you, honey, yes it is and I do feel better now that I've gotten this wee rant out of my system. I don't typically posts things like this (or complain/rant what have you in general), but when I know that something is an issue that is likely to affect a wide number of my readers as well as myself, I sometimes feel compelled to. That's quite alarming regarding how just folding packaging something differently could affect it's shipping rate. I've experienced that here in Canada for years now, too with certain small items (letter mail vs small package, which at a national level is the difference between a couple bucks and about $11-14 for the smallest sized packages). I too feel the exact same way. I've all but stopped buying small, inexpensive items online anymore unless they're part of a larger order with other pieces, too. Being charged more for shipping than the cost of the item just does not sit right with me (unless the total cost of the item and its shipping is still wayyyy below what it's retail/resale value would be). It is deeply sad - and I suspect the problem will only continue to escalate as time goes on, with little in the way of possible solutions/workarounds being put out there yet. Oh my goodness, yes! That sums up the situation quite often for me as well (shipping costs negating whether or not you're going to buy something more than the cost of the item itself). Both Tony and I think that postal systems in their traditional sense are not long for this world, and sadly, I can't help but feel like (especially with the massive stamp rate hikes and doing away with door-to-door daily mail delivery service in so many areas) Canada Post may be on of the first to go. Living in Switzerland, I was totally frustrated when prices went up a year ago. I can't find vinatge items here in my country, so I depend in almost everything from Etsy and Ebay. Still, some sellers manage to ship a single pattern for $3 to my place, but some charge me $9 for the same service. (I still wonder how there can be such a difference.) And worst thing about is: Swiss customs INCLUDE the shipping costs for the taxation of orders from abroad, and as I am allowed to "import" only goods (including postage!) for about US$ 62, I have quite a tight budget for the "real stuff". If I get over the $61, I have to pay not only taxes (which are a couple of bucks), but also a fee to the post office - about $20 - for collecting the taxes for the government. This is theft and ridiculous. To me it seems as they try to keep us from buying from abroad. But in the end, so many make a living or have an additional income from vintage collectors from all over the world. Postage should be kept as low as possible, as many sellers are very happy to have international customers. Excellent article! And I cannot agree more with every single point. I have found myself cutting my shopping purchases in half this last year since the prices have gone up. And now after having a UPS issues with a recent reproduction company I purchased from the states I'm becoming extremely gun shy even with those companies (I got a COD from UPS for $53 last week, on top of the $27 shipping charges I already spent). I do have the option of getting a box in the states and I'm considering it BUT I have to way the costs on that as well because the states are not in my backyard. I'm also not looking forward to our insane hike here as well. $1.00 to mail a letter...what??? Thank you very much much, my dear. Ouch, ouch and triple ouch!!! I've been hit with similar CODs from reproduction (the worst to date has been Freddies of Pinewood, which is a massive shame, because I utterly adore their offerings, but I'm scared to ever order from them again because of the courier that they use) and modern clothing companies alike (the worst offender their so far has been eShakti (which I documented here: http://www.chronicallyvintage.com/2013/01/i-want-to-love-you-i-really-do-but.html). Customs charges are one thing, but skyhigh CODs on top of the shipping costs you paid at the time of purchase online, courier brokerage fees, and other hidden expenses can quickly surpass the cost of the item(s) ordered and make one very leery of ordering online from companies who use couriers. Agreed, how on earth can Canada Post think it's right to go from $0.63 (already crazy high) to send a letter within the country to $0.83/$1.00 for a single stamp (and if we're on the subject, how in blazes can they get away with charging more just because a stamp isn't bought in a book). I tell you, when postal systems finally fold (and sadly, I highly suspect they will), with the way things are going this year, I strongly suspect Canada Post will be one of the first in the world on the chopping block. New Zealand has always had really high shipping costs shipping out, so the price change really threw me a curve-ball as I was used to shipping prices inwards being cheaper! Here, if I ship out something like two or three pieces of doll clothing, it'll be between $12 and $15 to the USA/Canada/UK/Rest of the world (Australia and the South Pacific is cheaper by a little) - if I wanted that parcel tracked it's $50. It's crazy! The same parcel within the country would be maybe $3 and that includes the bag. While I've never spent much online (tight budgets generally prohibit that!) but now I find it even harder to buy online - I was looking at some vintage patterns for dresses, and I'd expect to pay maybe $6-$8NZD for postage for them (Etsy converts it for me) but more and more frequently I see them with shipping of $10-$15NZD - which is crazy as that's often the same price as the pattern itself, or more! I now try and buy from the UK for things I want, as their shipping to New Zealand is really good, and often a lot less than from the USA, and also faster - I'll usually get things sent Airmail in a week, rather than 10 days like from the USA. But it is sad, as sometimes I'll see something I love (currently oggling a vintage dress on Ebay that's in my size - a rare occurance) which would be an okay price if the shipping wouldn't double it. It's a real shame, as plus sized vintage dresses are a rare find for me! I used to offer free shipping in the US and I can no longer do that without taking a major hit to my profit. I hate shipping anything to Australia because anything, even as insignificant as a dress or blouse can cost $30+ and takes forever to get there. I also find a lot of items overseas or even across the northern border, but the shipping from Canada to the US is just as bad as the shipping from US to Canada...really!! I know I should feel empathy for my postal service, but I watch how little they work and how incredibly inconvenient they make situations I just lose patience with them. I doubt things will get any better until we're out of this recession which has lasted for far too long. Our national debt is one of the highest and if the politicians don't get their butts in gear it will drastically get worse! I think that is what my true fear is. Very good points one and all. I too worry a lot about the world's economy, both close to home and abroad. Yes, they say we're out of the worst of the (2008) recession, but are we really? So many things have never - and may never - recovered. Prices on most items are over-the-moon high, but wages haven't kept pace with retail inflation one iota, and people struggle daily to make the same budget (or perhaps an even smaller one, if they were laid off, are getting less shifts, etc) they had six-eight years ago cover today's prices. I sense and see evidence of the middle class vanishing at an alarming rate, and wonder if this is how things are, what on earth will the economy look like in 10, 20, 50+ years from now? Will the middle class become a relic of the past, as a return of a handful of super rich people and a majority of poor citizens make up civilization again as it did in many places up until the Renaissance and later the Industrial Revolution? I certainly hope not, but only time will tell. I'm with you completely there! It pains me that I've had to scale back on gift giving and participating in swaps because I just can't foot the bill for the massively pricey shipping a lot of the time any more (especially on parcels above a pound or two) - and that includes within our own fine country! It's almost like the postal systems have forgotten that everyday people, not just giant corporations (like Amazon, for example) use their services still! Man, I am bummed on your behalf with this shipping hike! It's this weird conundrum where on one hand, costs will go up because of the cost of fuel, and in the US our fuel is really underpriced compared to Canada and other countries, but with the Internet, there's ever-increasing awareness of the neat things located physically far away, and the awesome possibilities of small businesses and the Internet linking us up to trade treasures. I wish I could think of a solution for this! I can definitely relate to this. Even in Australia, shipping costs are getting higher with every passing year. I run an etsy store and I'm finding it so hard to reconcile the amount that I have to charge to cover shipping costs. It just seems so unfair that I have to charge my overseas customers so much to make sure that their goods arrive safely. I've also noticed a change in my own online shopping habits. More and more of my budget is being eaten up with shipping costs, and I feel less inclined to buy smaller, cheaper items when I have to pay almost as much for shipping as I have for the item itself. I feel bad because I like supporting small businesses, but I simply can't afford to pay and arm and a leg for postage. Hear, hear! I am second guessing many more purchases these days due to the increase in shipping costs. We use several American parcel pickup services and it's only an hour and a half drive to the border from Winnipeg, but only ship there in the summer when the drive can be an enjoyable outing (also stopping at a few rural thrift shops along the way) to pick up goodies from the States. Although it's barely a solution to the issue. Generally, I find myself buying less online these days. Rant away, my dear, rant away, if you'd like. This post was more of one than I typically launch into here on CV, but sometimes, especially when a topic is likely to affect a wide number of my readers, I feel it's worth doing. I too have been taking a gamble and purchasing more and more from Asian shops on eBay in the last year as well. I've had some good experiences and some not so good ones, but no (knock wood) horror stories yet. At present, no, I don't know anyone nearby in Washington State. I have online friends scattered throughout the US, but none close to Canadian border. That would certainly be a great way to potentially go if I did though. Thanks for raising that point, honey. I know I posted a comment to this, but cyberspace has stolen it. Seriously though, I'm sorry that your comment(s) vanished. I've had that happen here and there over the years and know how frustrating it can be. Hopefully in the spirit of Valentine's Day, the interwebz will show you some love and deliver all your comments right away from here on out.